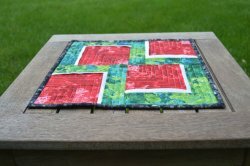 "We're continuing our Tute-Happy Summer series today with a tutorial for a watermelon mini quilt! 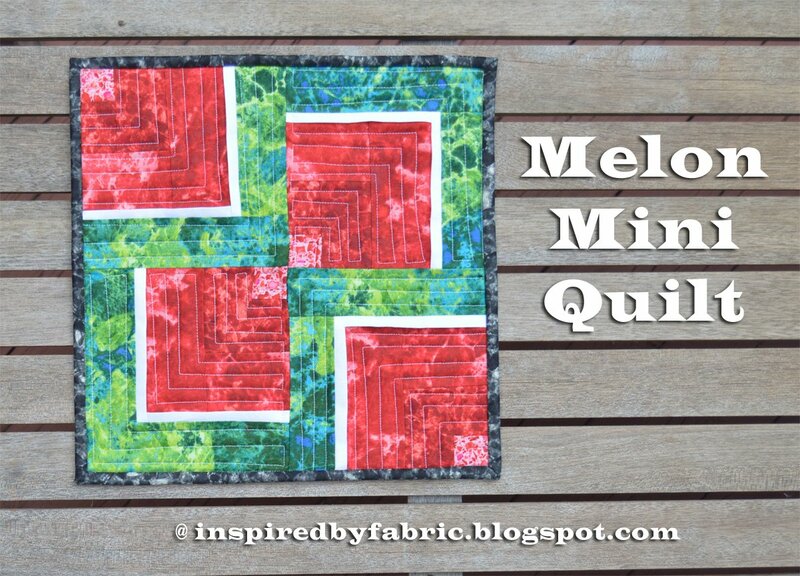 The reds and greens in Ro Gregg's Gemstones, Jewels and Quartz collection reminded us of watermelons, and this fun little 12-1/2" square mini quilt was born. It's super-easy to make--just one Courthouse Steps block cut in quarters and reassembled! 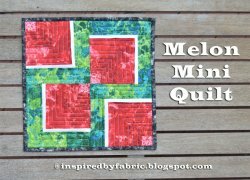 Enjoy the tutorial and then find the details at the bottom of this post for a chance to win a bundle of Gemstones, Jewels and Quartz prints to play with!